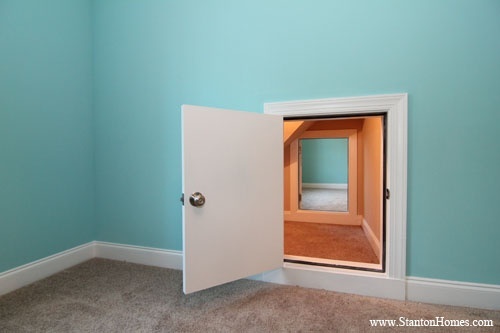 Hidden passageways and secret rooms are perfect places for kids to read, play, and hang out. The entrance to the secret room is "hidden" by what looks like a typical attic access door. 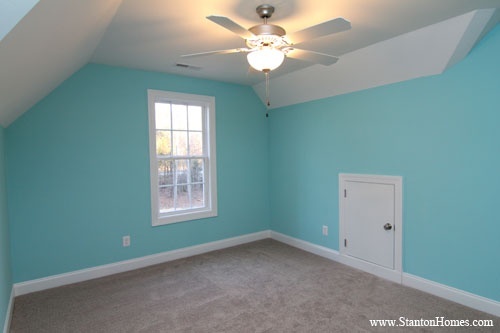 The height of the doors and room are designed exclusively for kids. See how you can add a secret passage to your Raleigh new home, in these before and after floor plan images. The Hopkins, a Raleigh custom home floor plan by Frank Betz, was customized to add a secret passageway between the two upstairs Kids' Bedrooms. Here is what we modified. 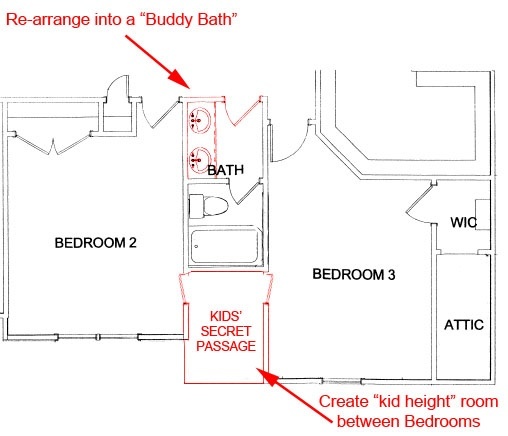 First, we converted the Jack and Jill bathroom into a Buddy Bath with hallway access. This eliminated the need for additional doors inside the kids' bedrooms, and gave us a little more space for the secret room. Then, we added a second access door to the built in attic storage area, inside Bedroom 2. Finally, we finished the secret room with drywall, carpet, and paint - making it part of the home. Would you know there is a hidden secret room behind this access door? Replace the "two story height living room" with a second story bonus room. See how to add a bonus room, without losing out on a second story overlook, here. 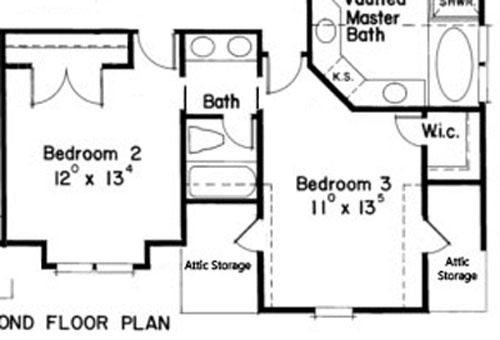 Move the laundry room upstairs, and add a drop zone or mudroom downstairs. 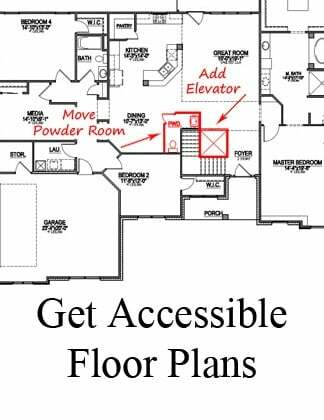 See how to modify a two story foyer into a laundry room, and expand a hallway into a drop zone storage system, here. Add a wrap-around front porch to your home - by modifying the exterior. 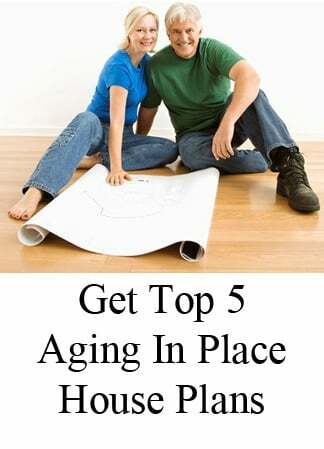 See the before and after, here. 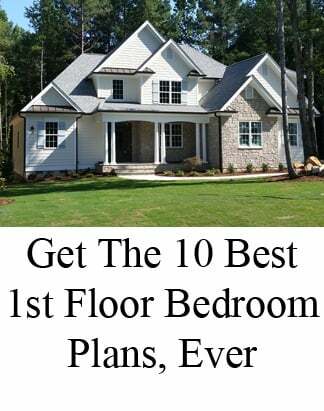 Ready to build your new home in the Raleigh, NC area? Contact Stanton Homes at 919-278-8070 or visit www.StantonHomes.com to learn more about building an custom home. 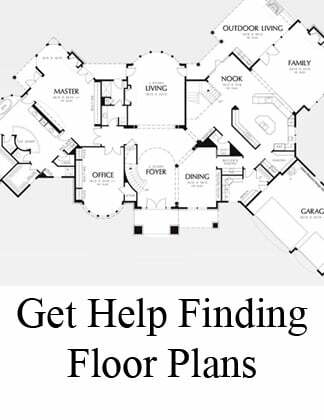 We'll show you all the ways you can modify a floor plan - including the best places to add a secret passage or room.